Newcastle United supporters are being given the opportunity to watch the Magpies’ next home fixture, with hospitality, at a discount of more than 50 per cent. Hull City are the visitors to St. James’ Park on Saturday, 20th September (3pm kick-off), and fans can enjoy the Barclays Premier League game from the new Park Grill, which has already proved a huge success. Hospitality in The Park Grill for this match is priced at just £70+VAT per person for adults, and £35+VAT for juniors, which works out at less than half price. Situated within the Leazes Stand, the brand-new restaurant allows guests to watch as their meals are expertly prepared thanks to its open kitchen grill and with tables overlooking the hallowed turf, it is perfect for United supporters who really want to enjoy their matchday experience. Providing locally-sourced food and a dining experience of the highest calibre, The Park Grill adds another facet to an already hugely impressive stadium, which was named the best large stadium for matchday hospitality in the United Kingdom at the 2014 Stadium Events and Hospitality Awards. 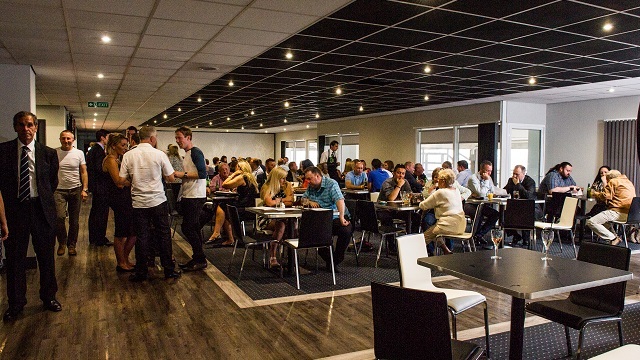 Private match seating, licensed betting outlets and post match analysis with a former Newcastle player are just some of the added bonuses that mean The Park Grill is an ideal place to watch the Magpies play. Sharon Howey, corporate sales development manager at Newcastle United, said: “We are looking to showcase the facility at the Hull City fixture later this month as we aim to attract more seasonal bookings in The Park Grill. For more information, or to secure your space for the remainder of the 2014/15 Barclays Premier League season, visit www.nufc.co.uk, email hospitality@nufc.co.uk or call 0191 201 8444.